There are many online resources for fair housing. The links below are just a few that might be helpful. There are several no-cost downloadable .pdf’s and reduced-cost printed brochures. Click here. 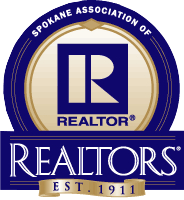 (Log-in for NAR member pricing). NAR’s “At Home With Diversity” online through REALTOR University, worth 4 credit hours (WA approved). US Dept of Housing and Urban Development – the Federal website for Fair Housing. Northwest Fair Housing Alliance – local resource for Fair Housing. EHO logo – contains copies of the Equal Housing Opportunity logo suitable for web and publication.